Today we are talking about the video resolutions. To make it easier to understand, resolution simply means how clear you can see it with your eyes. We usually use definition to measure resolutions, therefore we have high-definition and standard-definition videos. High-definition is video of higher resolution and quality than standard-definition. While there is no standardized meaning of how high it has to be, generally any video image with considerably more than 480 horizontal lines (North America) or 576 horizontal lines (Europe) is considered high-definition(HD). A UHD or 4K display is one with at least 8 million active pixels(3840×2160). For televisions, that resolution has standardized to 3,840 by 2,160. Digital cinema 4K (the resolution in 4K movie theaters) is slightly higher at 4,096 by 2,160. However you define it, it’s four times the number of pixels on a 1080p display, and over 23 times the resolution of standard definition television. Because the resolution is much higher and requires more bandwidth to transmit, you will definitely need a powerful TV or video player to play this 4K video. Leawo Blu-ray Player could be one of the best out there. Besides the full support of almost all video and audio formats, it can play 4K video perfectly as well. 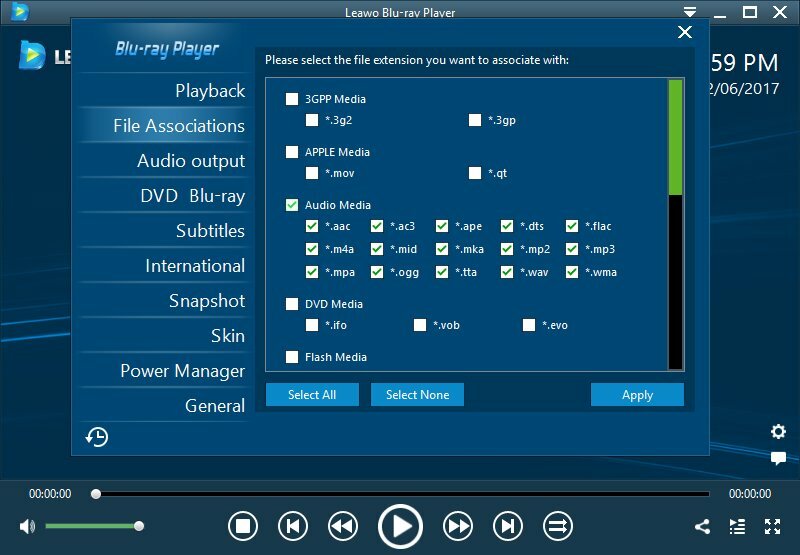 This free Blu-ray Player software supports to play quality-lossless video images with resolution of 720P, 1080P, 1080i and 4K (2160P). with the excellent 4K content support and 4K display, you can have an Ultra HD video watching experience easily at home. 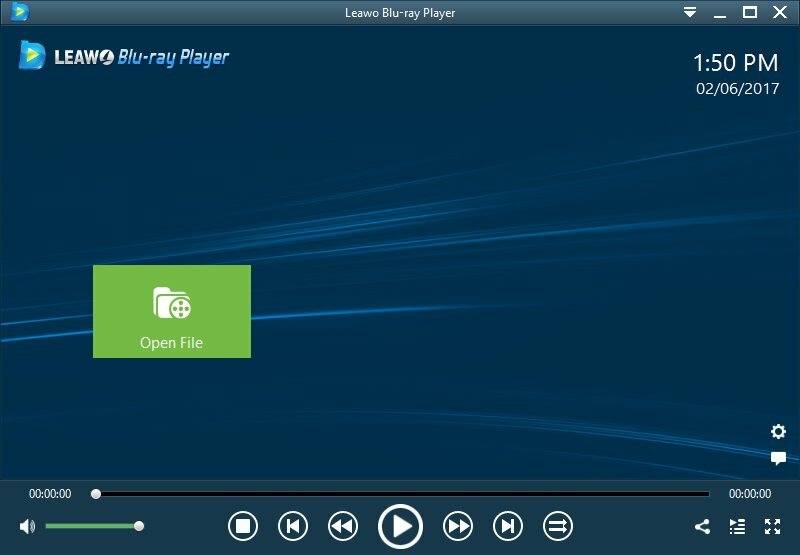 Step 1: Launch Leawo Blu-ray Player and you will see the main interface like this. Since this is a totally free product, there is no need to have it registered. All the great features are available to use. 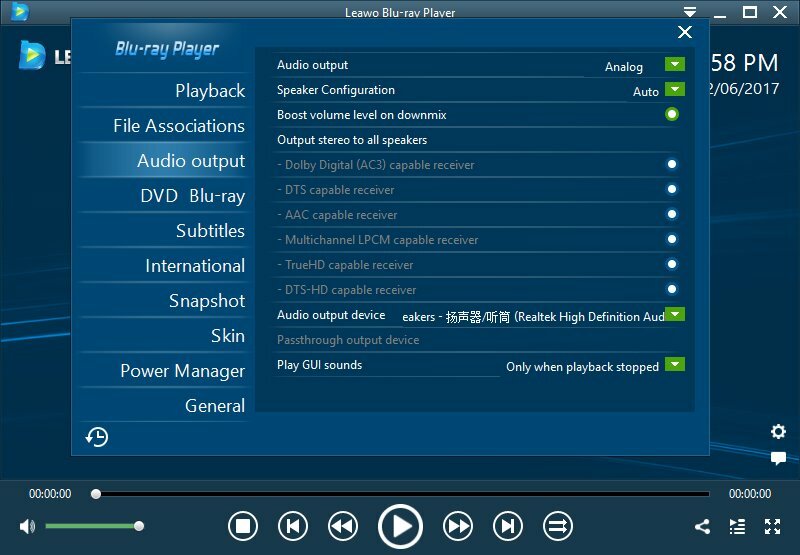 Step 2: Click the settings icon on the bottom right to adjust the settings of Playback, File Associations, Audio Output, DVD Blu-ray, Subtitles, International, Snapshot, Skin, Power Manager and General. Not necessarily all the settings are for audio files, select the audio-related options to adjust is pretty enough, or just leave it as the default settings if you have no idea where to start. 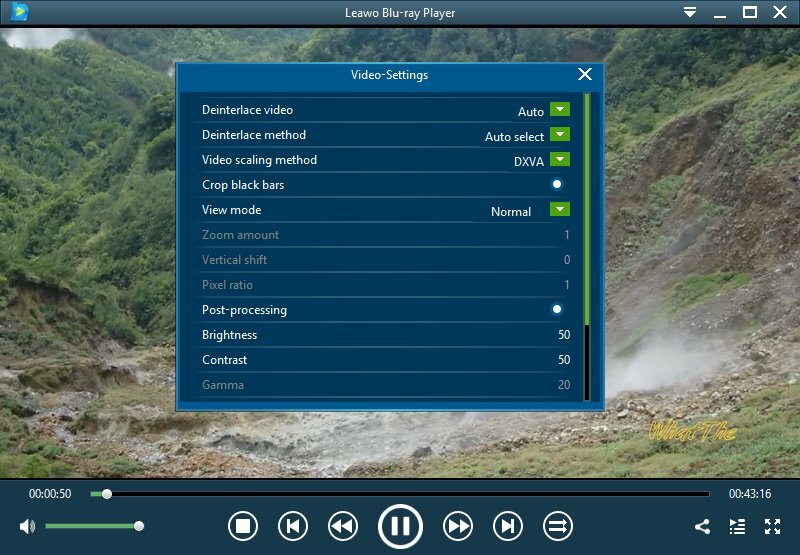 Step 3: Click the green Open File tab to add 4K video source from your computer and start playing thereafter. Right click on the video playing screen to access more video settings. 8K resolution or 8K UHD is the current highest ultra high definition television (UHDTV) resolution in digital television and digital cinematography. 8K refers to the horizontal resolution of 7,680 pixels, forming the total image dimensions of (7680×4320). Otherwise known as 4320p. 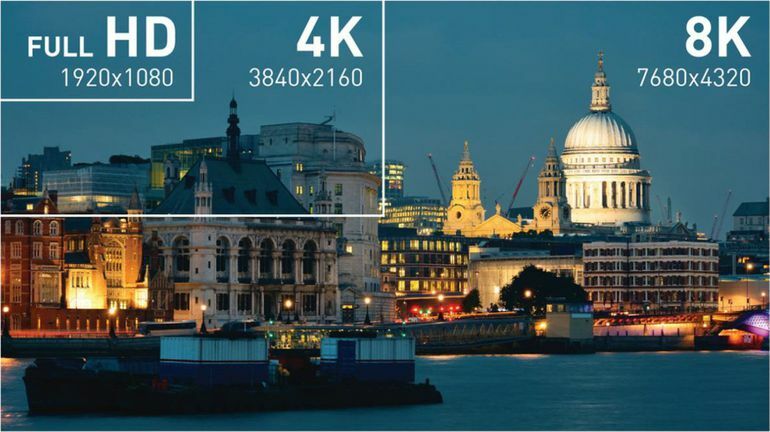 What does 8K video look like and where can you watch them? The easiest way is to watch those 8K videos on YouTube. 4K video support has been around for some time, even on computers. YouTube added 4K video support to its famous online video website in July 2010. Few people know the company also added 8K video resolution support in 2015. 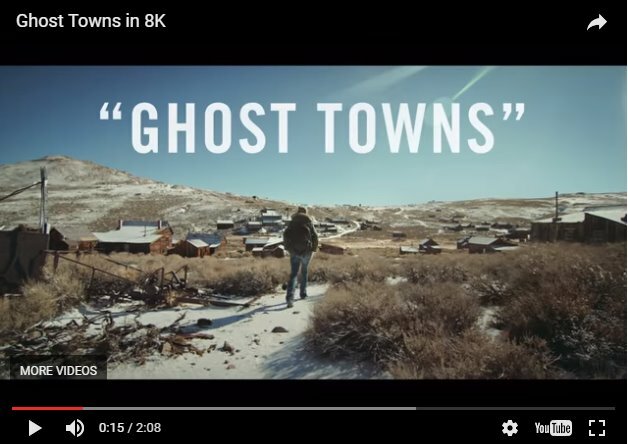 Here is some background info of the first 8K video on YouTube: it’s called Ghost Towns, produced by YouTube member Neumannfilms, shows some town units (homes, wagons, etc.) that have been abandoned. While these places and items remain, the people who once inhabited them are gone. Yes, a deserted town is indeed a ghost town. 3. 8K video needs a superior display device(hardware) and advanced player(software), and that’s the most important thing before anything else to enjoy a lossless 8K video playback. Therefore, 8K video might be the future without doubt, but it still has a long way to go before it gains more supports and recognition just like HD and 4K videos.